These fine choirs sing some of the most approachable, and spiritual settings of recent years as sung by the Choirs of Selwyn College, Chelmsford Cathedral and Chichester Cathedral. 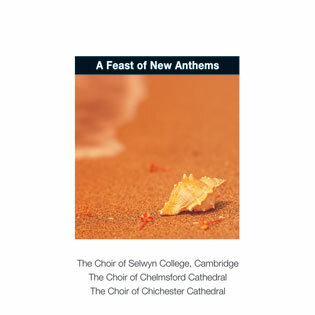 A Feast Of New Anthems by Chelmsford Cathedral was published by Kevin Mayhew in May 2005 and is our 34649th best seller. The ISBN for A Feast Of New Anthems is 1490177. Be the first to review A Feast Of New Anthems! Got a question? No problem! Just click here to ask us about A Feast Of New Anthems. Now Playing: Te lucis ante terminum (George Malcolm) Your browser does not support the audio element.